Maintaining communication between security operatives via a control room monitoring station is key to maximising public safety. The system also allows for example, building managers to play back routes and obtain reports as proof a building is being monitored. SFL Mobile Radio has recently upgraded the radio system in the Strand Shopping centre in Bootle, Liverpool from analogue to digital. 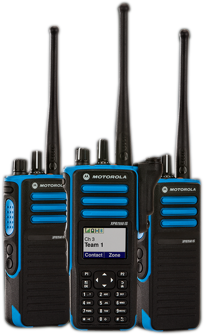 A new digital repeater has been installed, antennas replaced and 26 new Motorola DP3441 digital radios are now in use. Wirral Council’s community safety team are utilising SFL’s digital radio networking solution WirralNET for its main CCTV control room on the Wirral. The safety team consists of a fleet of vehicles and foot patrols. It may be a city shopping complex which requires two way radio communication for their shoplink members to pass on simple, effective descriptions of known shoplifters between shop security. Or it may be a local council community safety support team which works alongside police authorities in the protection of public buildings and schools. Both examples need fast effective communications to pass on information quickly. Some of the UK’s largest chains use SFL for their radio needs including Asda, Tesco, Argos, Next, Home Bargains and Iceland. Wirral Borough Council has recently installed a state-of-the-art digital Motorola system for their community safety team. Each operative carries a portable two way radio which allows the control room to GPS track each guard across the Wirral peninsular via their central control room which consists of a TRBOnet tracking system. The buildings that the community safety team protect are geo-fenced within the control room, so that when an operative enters or leaves the geo-fence, the lone worker function is automatically enabled or disabled and a text message is received by the operative informing them that they are being monitored for added safety. If the lone worker alert is not acknowledged by the guard an alarm is set off in the control room and the exact location of the officer will be clearly shown on the map. 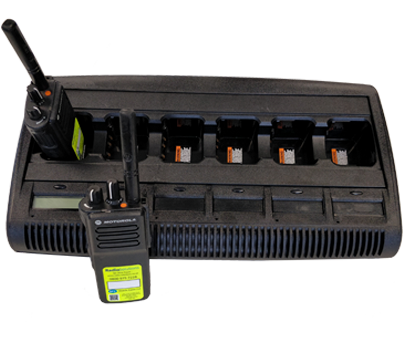 SFL Mobile Radio also have security solutions for your short term event. We have a pneumatic 15m mast with guys which can be rapidly deployed to offer instant increased coverage for securing events such as concerts, horse racing or even in public disorder scenarios.